Welcome from Newcastle University Pro-Vice Chancellor, Professor Oliver Hinton. 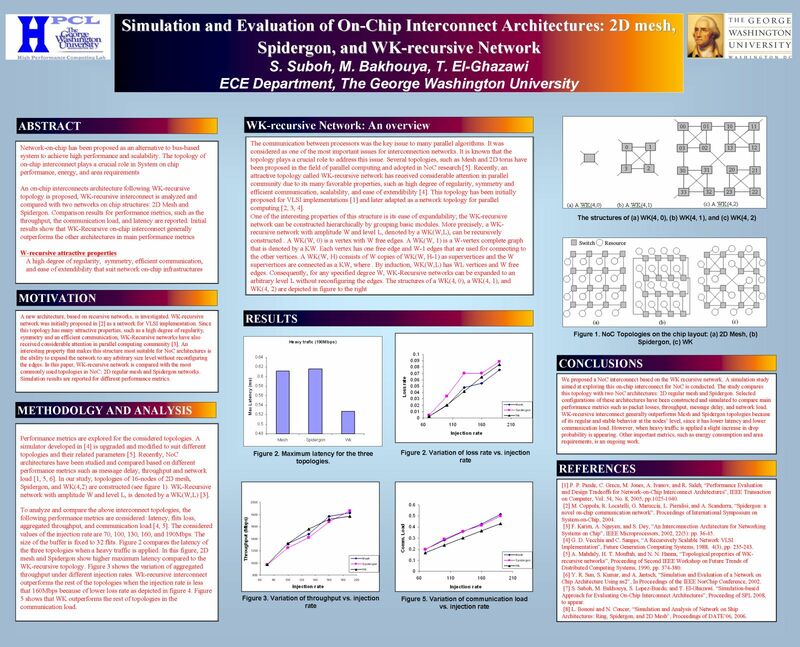 The papers presented in this session show how network building blocks or an entire architecture can be optimized for specific purposes, such as debugging, fault-tolerance, or low power. The papers in this session extend FPGAs with networks on chip techniques, or conversely, networks are augmented with circuit-switching techniques around the routers. The papers in this session present link design techniques trading off power with reliability. Topology and routing design require high-level exploration tools and methodologies and an interaction of these latter with physical synthesis tools. All these issues are covered by the papers presented in this session. GALS NoC design is addressed at different levels of abstraction in this session. Proposed papers range form comprehensive system-wide implementation and design choices to design-for-test implementation for asynchronous interconnects. The papers in this session discuss NoC performance and quality of service. The coherence protocol in CMP systems poses requirements on the system interconnect which have to be met through proper architecture design choices, as described by the papers in this session.